BOOKING IS NOW OPEN for the first annual "Police Governance" summit, which will take place on Wednesday 6th to Thursday 7th June 2018. 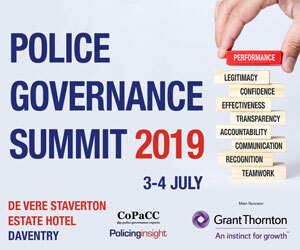 Organised with the support and guidance of leading police governance professionals, academics and stakeholders, this event explores key police governance challenges of the day. 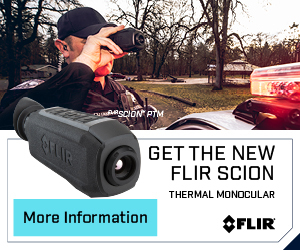 Interested in police governance? Then put the dates in your diary today - and book your place now! Police governance has developed very considerably since PCCs were first elected six years ago – and not just as a result of the recent opportunity for PCCs also to take on fire governance. Increasingly, OPCCs undertake a considerable (and growing) range of policy-related work, plus are expected to deliver much speedier and more effective support and decision-making than their Police Authority secretariat forerunners. CoPaCC (Policing Insight’s parent organisation) was established at the time of the first PCC elections in 2012 to monitor Police and Crime Commissioners’ work, and is now widely acknowledged as providing considerable national insight into police governance. With the support and guidance of leading police governance professionals, academics and other interested parties, CoPaCC is now organising this first annual “Police Governance Summit”, to take place on Wednesday, 6th to Thursday, 7th June. This first “Police Governance Summit” will focus on areas that CoPaCC and our expert advisers have identified as key current challenges. The Summit will include sessions run and informed by leading national authorities and subject matter experts. Session Five: Effective use of committees: Should the Joint Audit Committee just be about compliance? Session Six: Police Governance Budgets: Can greater OPCC collaboration help make the most out of tight budgets?